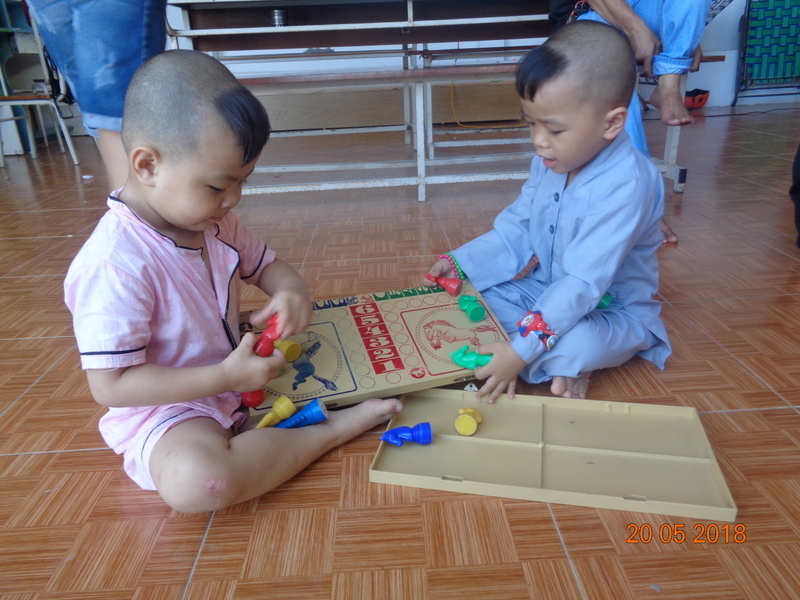 On May 20, 2018 we visited the Song Lo Orphanage with some much-needed supplies. 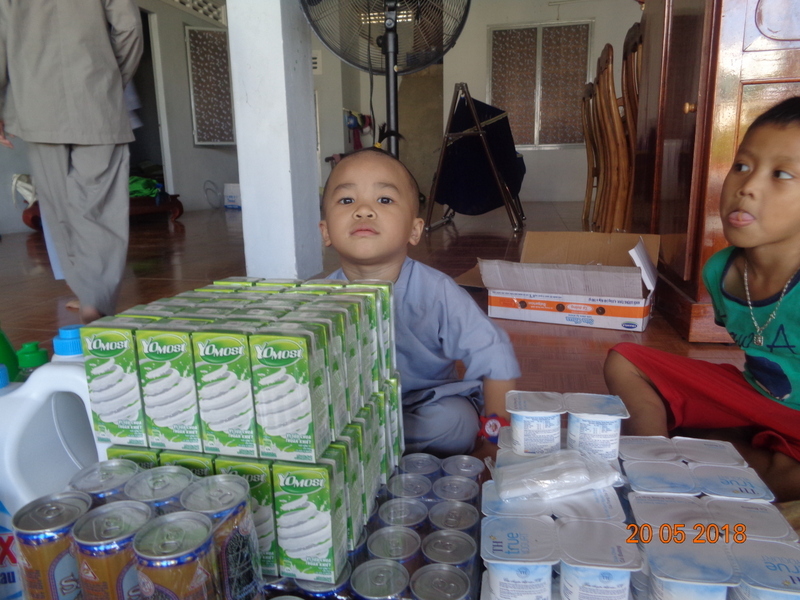 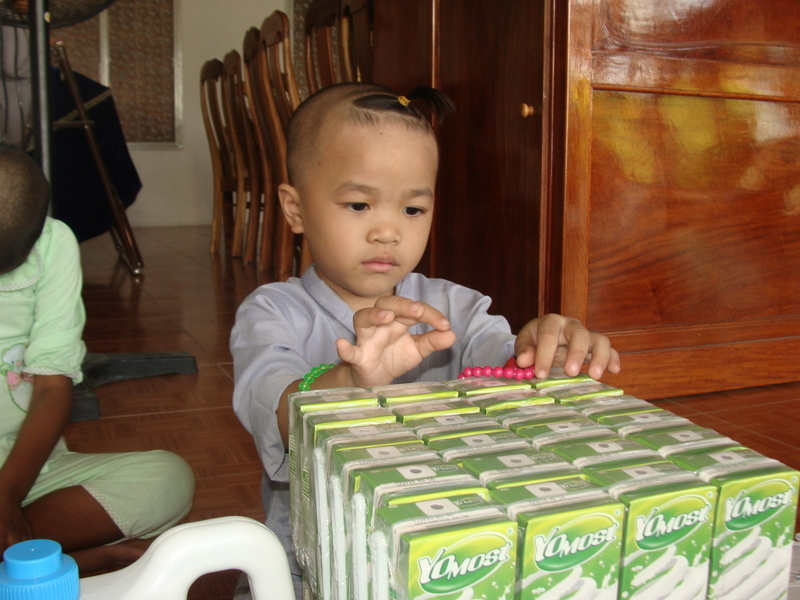 Song Lo is a small orphanage to the west of Nha Trang, and depends on donations for survival. 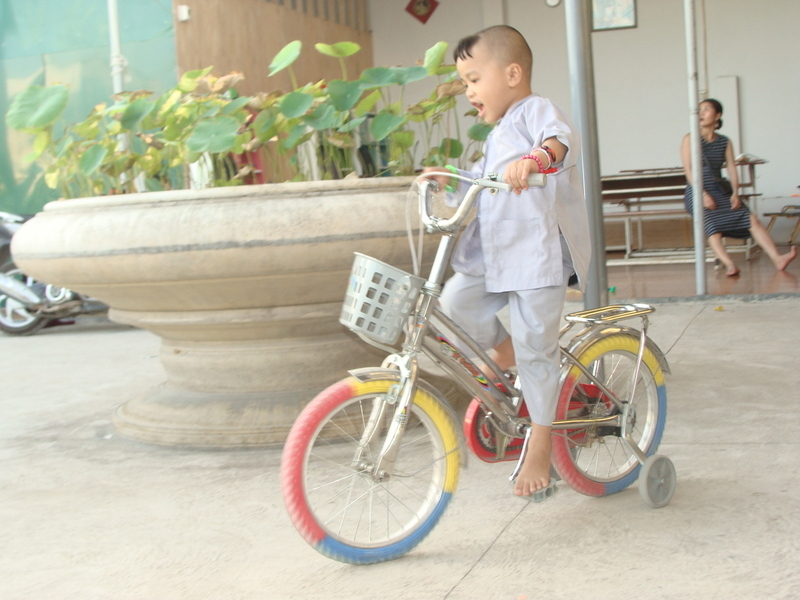 After speaking to the nuns at the orphanage, our team organized a visit with lots of essential supplies and some fun surprises for the children. 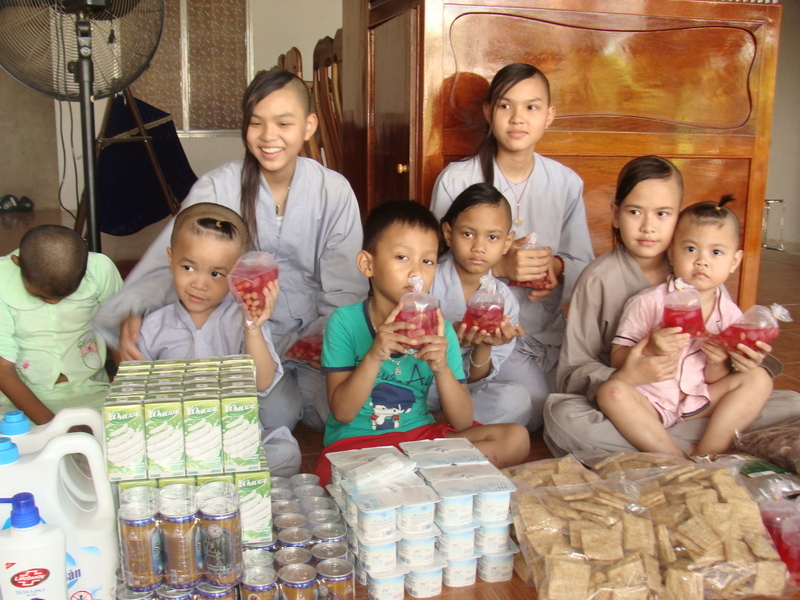 We brought packages of yogurt, packages of vegan foods, bags of mushrooms, milk drinks, bathroom supplies, washcloths, dish soap, shampoo, and bags of fresh fruit drinks. 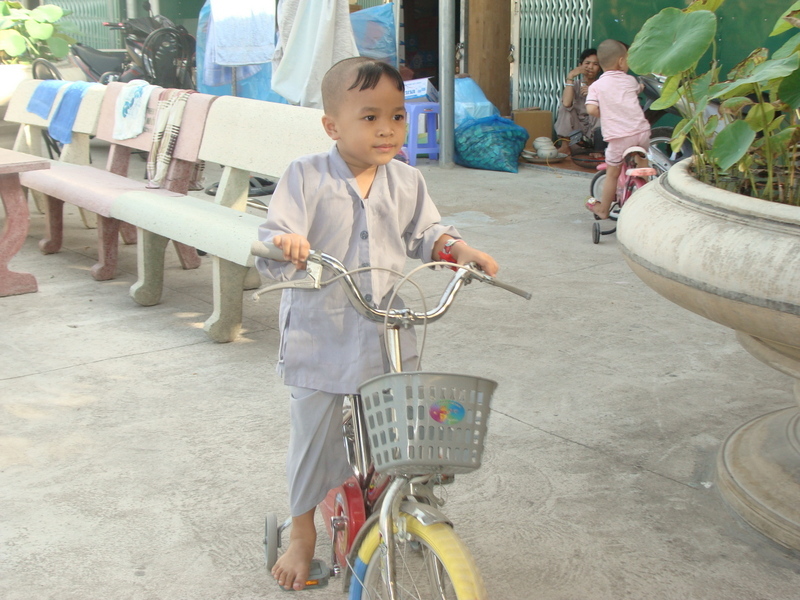 Out team spent time with the children, who enjoyed their fruit drinks and played with games and bikes. 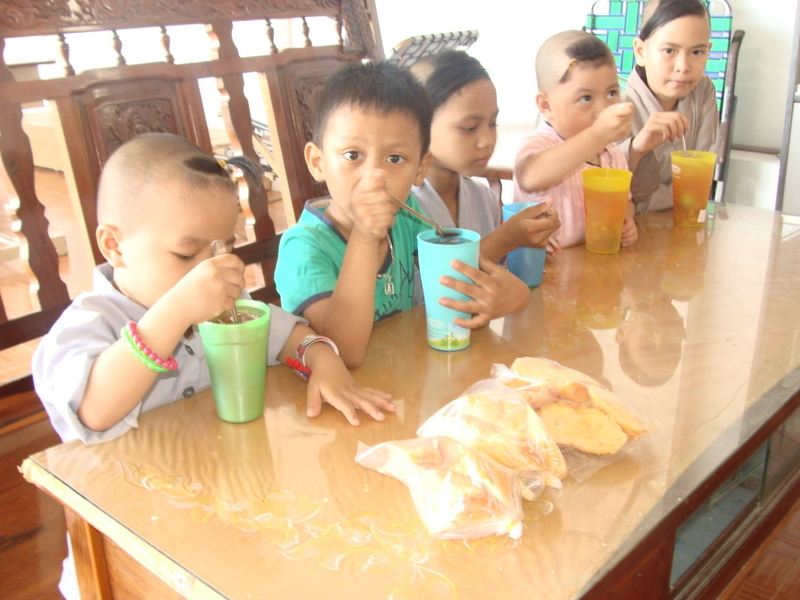 This visit was made possible through the kind donation of Chris Vo.